Find out a bit more about the experts who will be taking your DSC training course. Tessé is passionate about working with organisations and individuals to achieve their highest potential and create futures that make a difference. Tessé is lead consultant to the Governance Development Programme Onboard, a brand of Bates Wells & Braithwaite London LLP, for which she authored ‘Governing with intent’. 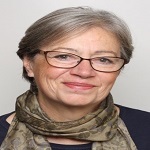 Previously she was the Head of the Trustee and Governance Team for the National Council for Voluntary Organisations. 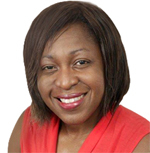 Currently Chair of the Governance and Nominations Committee, Tessé has also served as a Commissioner of the Equal Opportunities Commission and a Non-Executive Director in the NHS. Tessé draws on her extensive experience when coaching and mentoring to help strengthen governance and leadership. Among others Tessé has worked with Womankind, the Market Research Society, YMCA St Paul’s Group, Share Community Ltd, and grant makers including Barrow Cadbury and Lloyds Foundation. Alan is a training consultant with over 25 years of experience. He specialises in communication skills, creativity and problem solving. 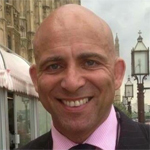 He focuses especially on writing skills including copywriting (Alan is an affiliate member of the Chartered Institute of Marketing) and speechwriting (he’s also a member of the European Speechwriter Network). As a former actor Alan brings special expertise to the skills of presenting and public speaking. His work with DSC includes training projects for Age UK, Mind, St Mungo’s and Save the Children. 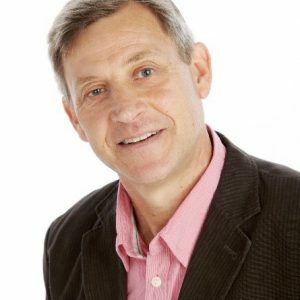 Alan is the author of over 25 published books, including 'Improve Your Communication Skills' and 'How to Solve Almost Any Problem'. 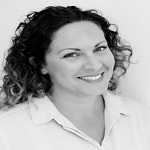 Gillian has been a training consultant specialising in written communication for over a decade. 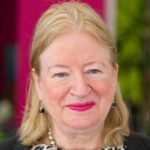 Gillian has run public and in-house training in private, public, educational and third sector organisations across the UK and overseas. Gillian honed her own writing skills through a degree in English and Education followed by roles as a literary manager in theatres and a script editor. Before becoming a consultant Gillian worked in further education including delivering creative writing courses for the Open University and attending as a visiting lecturer at Bristol University. Alan worked in the Charity Commission for over 30 years, for much of that time as its principle trainer. Since 2011 he has worked as a consultant specialising in supporting and developing charities and NGOs. He works throughout the UK and has also delivered training in Africa, India, Pakistan, Indonesia and the Middle East. 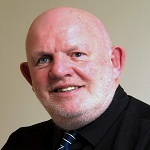 He is trustee of Advocacy Focus, a Mental Health Charity in the North West of England and a panel member of Dream High, an organisation developing and supporting entrepreneurs and small businesses in and around Merseyside. He is also President of Prescot Hockey Club. 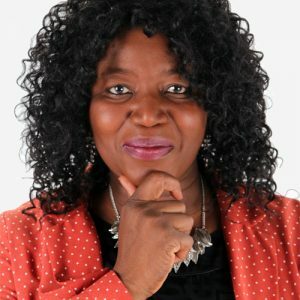 A communications professional with over 25 years of experience, Linda specialises in presentation skills and public speaking, management and personal development training, and fundraising training. Linda delivers training courses at different levels to charities, voluntary and community groups, and not for profit organisations across the UK. Previous clients include Age UK Dudley, Citizens Advice Bureau, Birmingham Voluntary Service Council, West Midlands Police, Sandwell Council of Voluntary Organisations and Worcestershire Wildlife Trust. An Associate Trainer for DSC for 18 years, Linda has a confident, warm and engaging style of delivery that creates a friendly and inclusive learning environment. Prior to becoming an independent consultant, Linda was employed as a Fundraising Manager for the national children's charity ChildLine. Will is a leadership and management specialist, a psychotherapist, an NLP Master Practitioner and a training and development consultant. He's been working in the field of personal development & leadership and management for over 25 years and has worked with around 30,000 people. He's run leadership training courses and coached people from as wide a range as students to CEO's and many teams and individuals in between. He's had the privilege to work in different countries around the world including Sweden, Holland, Belgium, Bermuda and parts of the USA such as Cleveland, Atlanta, Seattle, Philadelphia and Cincinnati. Will has also been featured on television with two shows to his name: Ballet Changed My Life: Ballet Hoo! on Channel 4 and Too Busy To Live on Channel 5. He is really looking forward to crossing paths with you either for the first time or welcoming back old friends. Nick’s 30 years in marketing began in advertising, developed through direct marketing and now focuses mainly on maximising the many opportunities presented by digital media. As well as being a practitioner, Nick leads a variety of training. 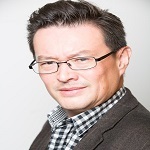 He has delivered accredited marketing qualifications for over a decade and has delivered in-house training for commercial and charitable organisations including Sony, British Airways, Royal Mail, Parkinson’s UK, Age UK and Amnesty International. Nick graduated in Business Studies and holds a Diploma in Direct Marketing and a Diploma in Education and Training. He is a member of the Chartered Institute of Marketing and the Institute of Direct and Digital Marketing. Robert is a consultant and trainer experienced in Social Impact Measurement (SIM), Social Impact Management, and Social Return on Investment (SROI). Previous projects include co-developing SIM methodology which has been applied in the UK and by the South Sudan Development Agency, conducting SROI analysis for local authorities in London, and impact reporting for organisations including The Young Foundation and Clinks. Robert has delivered training and spoken at conferences nationally and internationally for clients including the British Council, NGO Management Switzerland, and the World Bank. Robert, a published author, writes frequently on the subject of SIM and is particularly interested in how organisations create, quantify and share different types of value. Elizabeth has project managed change projects in communities, local authorities, churches and national partnerships for over 30 years. She managed the Oxford Healthy Living Centre from idea to opening and, since 2005, has managed education projects throughout the UK. An ordained minister, a professional artist and an Oxford University alumna (Theology, Masters in Education, Postgraduate Diploma in Management) Elizabeth brings a supportive, creative and considered approach to training. Elizabeth teaches third sector specific approaches to project management. A trainer with DSC for over a decade, she is also the author of the DSC Speed Read 'Risk Management'. Her passion is helping people to change their own lives and their communities. Neil has a successful 21-year track record within learning and development, as well as 15 years in operational management roles. He specialises in developing individuals and teams to bring about improved performance. 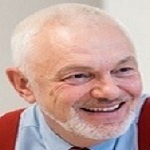 Until 2000 Neil was a manager, coach, facilitator, consultant and trainer at the Work Foundation (formerly the Industrial Society) where he designed and delivered a range of learning interventions focusing on leadership, management development and project management and - as Head of Surveys and Diagnostic Consulting - he led a team of consultants. Experienced in the third, public and private sector, Neil understands organisational complexities including the challenges of leadership and the realities of operational management. 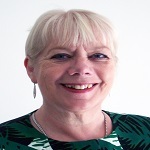 Gill is an expert trainer and consultant with over 30 years of charity sector experience. She has been a fundraiser, manager, director, and before setting up her own consultancy, headed up the fundraising for one of the top 10 income generating charities in the UK. A psychology graduate, Gill is passionate about helping others to achieve their full potential. She works with regional, national and international charities and past clients include Interpol, WWF, Redwings Horse Sanctuary, Build Africa, various adult and children’s hospices, Cambridge University Colleges, numerous Wildlife Trusts and Sue Ryder Care. 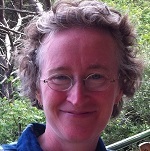 Gill is a regular speaker at conferences and has contributed to a number of books. In 2012, in recognition of her contribution to fundraising, Gill was made a Fellow of the Institute of Fundraising. 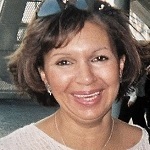 Genny is a specialist trainer in accounting and has 20 years of experience in the charity sector. She qualified with the Association of Accounting Technicians, gained the NVQ 3 in Training and Development, and holds the Higher National Diploma in Business and Finance. Genny is gifted at simplifying the subject of accounts - she uses a unique style of delivery to convey accounting information in a way that makes sense to delegates. Among others, Genny has delivered training for Community Accountancy Self Help, BME Concern, Greenwich Council for Voluntary Services, Opportunities with Experience, and Canterbury University. Sandy is a trainer, speaker, published author and consultant with over 25 years of experience. She has worked in developmental roles including Volunteer Centre Manager, Training and Development Officer and Chief Officer of a Racial Equality Council. Also a dedicated volunteer herself, Sandy is currently Chair of the Board of Trustees of a large local charity. An engaging speaker, Sandy undertakes engagements across the country as well in the Far East and on board cruise ships. Sandy’s clients include Save the Children, Volunteering England, HomeStart UK, Mencap as well as many Councils for Voluntary Service, community groups and numerous others. 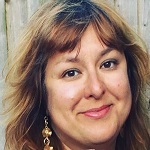 Layla is a fundraising trainer, consultant and mentor with 20 years of experience across the charitable sector and the arts. She specialises in corporate fundraising, sponsorship, strategy and business development, and marketing and communications for small charities. Layla’s previous roles include: Head of Development at the Women’s Resource Centre where Layla managed the team developing fundraising, pricing and marketing strategies; Corporate Development Manager at the Barbican where she cultivated prospects and secured sponsorships and partnerships; and Head of Corporate and Individual Fundraising for a national children’s charity. Layla is fluent in 4 languages and holds 2 master’s degrees, including a Master of Science in Marketing. Estelle Neuman is a consultant, mentor, trainer and qualified business adviser. She is also a trustee with a women’s domestic abuse charity based in Manchester. An experienced trainer - including as a DSC Associate since 2002 - Estelle designs and delivers customized training to third sector employees including trustees and managers. Early in her career Estelle worked as an Enterprise Adviser where she championed the development of community businesses and women’s enterprises. To support the work, she was soon developing and leading training and organizational development programmes across the UK. A Diploma Member of the Institute of Fundraisers, Estelle has helped a wide range of third sector organisations to develop interventions supporting their strategic growth and sustainability. 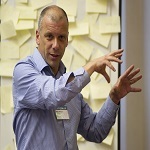 Mike is a trainer, facilitator, consultant and coach who is passionate about releasing potential through learning and development. 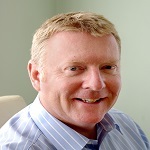 He has 25 years of experience in the charity sector with a focus on health and social care. His work has included front-line roles, management positions, and setting up and running a charity. By applying brain-friendly, interactive and accelerated learning techniques, Mike helps delegates to get the best from their training. 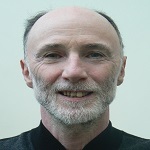 He has worked nationally and internationally for a wide variety of organisations including the British Ecological Society, Gurkha Welfare Trust, Big Local, Care Trade, Fostering Network, Anthony Nolan, and The Princes Trust. Katie has been a professional fundraiser for 17 years, working across all disciplines including bid writing, individual giving and corporates. Katie has a Diploma in Fundraising from - and is a member of - the Institute of Fundraising. Her achievements include raising over £1million for a local authority and £400,000 for a women’s refuge, for which she also secured the first major gift. She spent 6 years with Brighton Festival & Dome working with high profile individual donors and managing major corporate accounts. Katie has been sharing her fundraising expertise as a consultant for 7 years and as a trainer for 4 years. Her clients include The Clock Tower Sanctuary, People United and Community Works. She is also the Grants Consultant for the EY Foundation (Ernst & Young). Kathy has been a fundraising consultant and trainer for almost 20 years, and a DSC associate since 2005. Previously she was an executive director of a national animal welfare organisation. 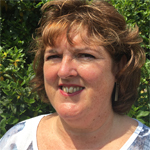 In 2001 Kathy gained the Certificate in Fundraising Management and then became a qualified assessor for the programme. Kathy co-authored ‘The Art and Science of Fundraising’, a master’s degree module delivered by the University of Kent. 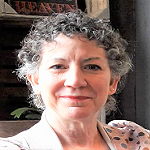 Kathy’s areas of expertise include fundraising strategy, fundraising from individuals and grant-making trusts, fundraising regulation, business and strategic planning, and project management. A librarian early in her career, she is an expert in research skills, especially in relation to gaining evidence of need and outcomes to strengthen a charity’s case for support. A trainer and performance coach with 25 years of experience in learning and development, Cathy has worked across the UK and Ireland in voluntary sector infrastructure and support organisations and is currently Business Development Manager (North) at DSC. 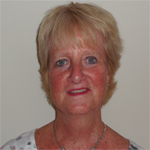 Cathy helps individuals and organisations to identify their L&D needs, then designs and delivers tailored programmes. A skilled facilitator, Cathy is the perfect choice to support team away days or creative sessions, as well as reviews of organisational vision, mission, objectives and values. Cathy’s main focus is bringing DSC’s quality products and services to the regions beyond London, offering new perspectives and solutions for individuals, teams or the whole organisation. 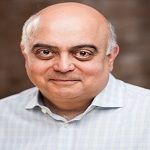 Uday has over 40 years’ experience of organisational and management support. His skills and knowledge have been honed through starting and managing one charity and two social enterprises. Uday has worked with thousands of individuals and social economy organisations in the UK and globally. He has created numerous toolkits, manuals and guides for a host of umbrella organisations and local and regional authorities. Uday specialises in strategy, leadership, finance, governance and impact. He is an award-winning mentor. Uday has also been a trustee of two national charities and is the chair of a health charity. Paul has been a leading expert on Data Protection in the voluntary sector for over 20 years, working across the UK with a diverse range of local and national organisations. Paul is the author of DSC's ‘Data Protection for Voluntary Organisations’ which has been a standard work for many years and is now being updated to cover GDPR. Paul finds Data Protection fascinating because it is not really about data at all; it's about people and the relationships between them and organisations. He explains Data Protection - and how to approach it - in an engaging and accessible style. Chrissie is a master trainer and coach with over 30 years of experience in management development and communication skills. As Head of Communication Skills at The Industrial Society for 20 years, Chrissie managed the team responsible for delivering training, education and advisory services for high profile clients in the commercial, industrial, financial, public and voluntary sectors. Chrissie then spent several years with Capita Learning and Development as Manager of the Communication Skills team. She went on to join DSC as Training Manager, where she remained until becoming an independent training consultant. Chrissie believes in the power of coaching for individuals and groups, and has a special interest in seeing people develop, particularly through the culture and management style of teams and organisations. Our charity training equips you with the latest techniques and practical guidance, giving you the confidence to get back to your work and make a real difference for those you're there for. All from top trainers, experts in their fields, with hands-on experience. Secure the funding you need to make a difference. Access a total of £4.5 billion from 4,500 trusts on Trustfunding.org.uk alone.